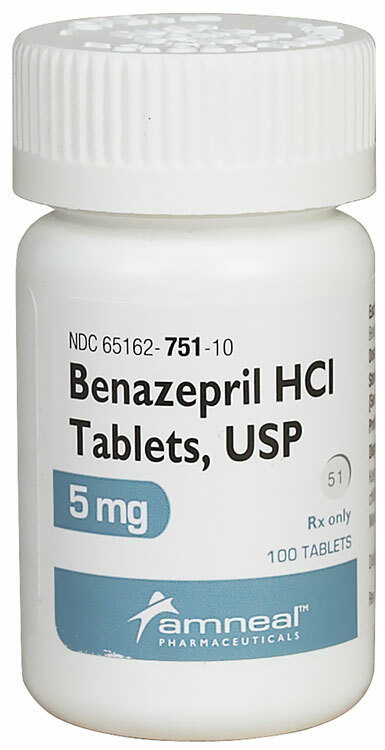 Benazepril is a prescription medication used in dogs and cats for the treatment of heart failure, high blood pressure, and some forms of kidney disease. Benazepril is not FDA approved for use in veterinary medicine; however, it is a commonly accepted practice for veterinarians to prescribe this medication for dogs and cats. Everything was simple and price was great! My only concern is that the size of the pills is so small that it is virtually impossible to split for our dog as she needs only 1/2 a pill at a time. Iâ€™ll order again if I can get same dose in a larger size pill to split. Great people, love the prices!! ConsYou need to be able to ship directly to Florida!! My cat takes this medication every morning and getting a 6-month supply is very convenient. Also, it is significantly cheaper . . . Close to 1/4 the price compared to getting it from the veterinarian.